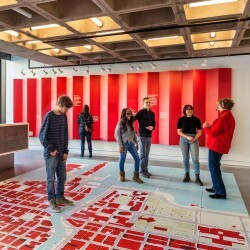 Let the Chicago Architecture Center help you plan an engaging, entertaining and memorable experience for your group. At the CAC, we’ve made it our mission to showcase the city we love. Your group will have an amazing time going on one of our tours. All walking and bus tours also include admission to CAC exhibits! Flexible departures to fit your group’s schedule and time frame. 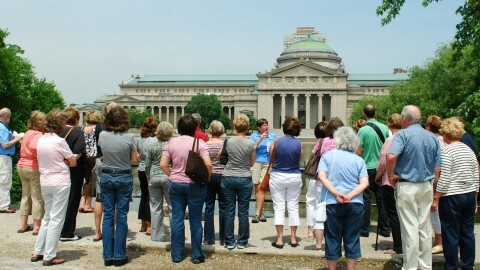 Tours led by certified volunteer docents with a passion for Chicago and its architecture. More than 85 tours available by foot, bus, train and boat. Proven customer satisfaction, evidenced by our five-star rating on TripAdvisor. The Chicago Architecture Foundation Center River Cruise aboard Chicago’s First Lady is consistently ranked among the city’s most popular tours. 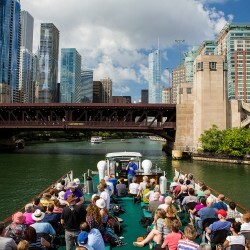 For 90 minutes, your group will explore historic and modern architecture while enjoying a relaxing cruise along all three branches of the Chicago River. We offer discounted rates to groups of 20 or more on certain public departures of the River Cruise when booked at least one week in advance. No group discounts are available for 5:30pm tours, twilight tours or Friday tours. The only Saturday tour with a group discount is the 9am tour. Tour operator discounts are available. No discounts on 3-day holiday weekends. 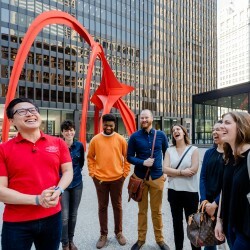 Walking tours give your group a chance to see Chicago's magnificent architecture up-close. A CAC docent will lead the way, providing in-depth observations and leaving plenty of time for questions and discussion. Walking tours are offered year-round and include admission to CAC exhibits. Browse walking tours for groups. All group walking tours have a $250 minimum, regardless of the size of the group. Tour operator discounts are available. The Insider Guide to the Galleries offers an architect’s perspective of the Chicago Architecture Center. This 45-minute guided tour will give you an in-depth look at the CAC’s two floors of fascinating exhibits! The Insider Guide to the Galleries group tour is $16 per person, which includes admission to the CAC. A $200 minimum is required for each group. Please email groupsales@architecture.org or call 312.322.1130 at least two weeks in advance of your desired date to schedule. Bus tours give your group an opportunity to cover lots of ground in a short amount of time, both downtown and in neighborhoods outside the Loop. Themes range from architectural highlights and historic neighborhoods to Frank Lloyd Wright and the World's Fair. 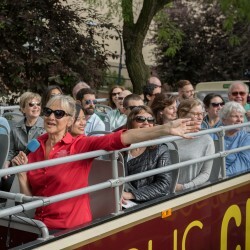 Bus tours depart year-round and include admission to CAC exhibits. Browse bus tours for groups. We offer step-on service starting at $600. Please email groupsales@architecture.org or call 312.322.1130 for more pricing information. Want to bring your student group on a tour? 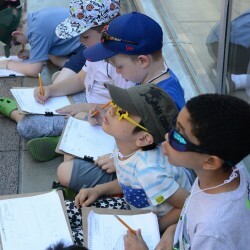 The CAC's field trips include walking tours geared toward students grades K-12, as well as other exciting opportunities to explore the built environment, such as hands-on workshops and tours of the CAC. A 50 percent deposit is due 14 days after booking, or 30 days prior to the tour date, whichever comes first. The remaining balance is due 14 days prior to the tour departure date. Small adjustments to counts can be made at that time. No refunds will be made following the final payment. We are not able to guarantee changes to group contracts less than two weeks prior to the tour date. All pricing includes any applicable tax. Please contact our group sales department for more information or to book your group tour by phone at 312.322.1130 or email groupsales@architecture.org.